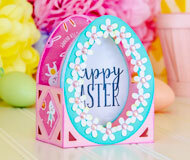 Make and give this delightfully-dimensional card featuring a flower-rimmed egg. 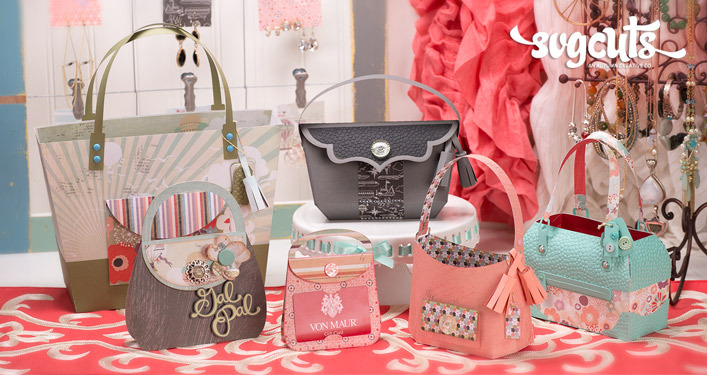 Perfect for featuring a stamped sentiment or other design. Folds flat to fit inside its envelope. **Other projects shown not included. 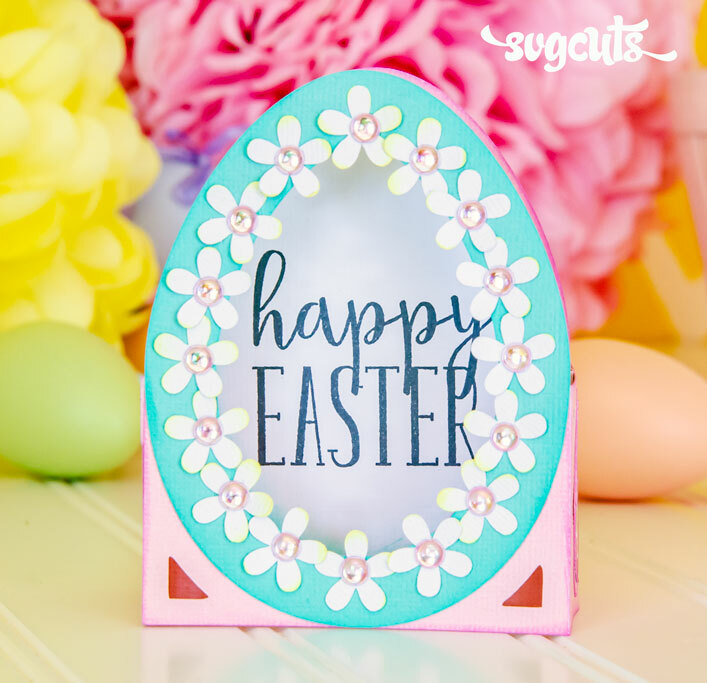 For the entire Easter Box Cards SVG Kit, click here**. 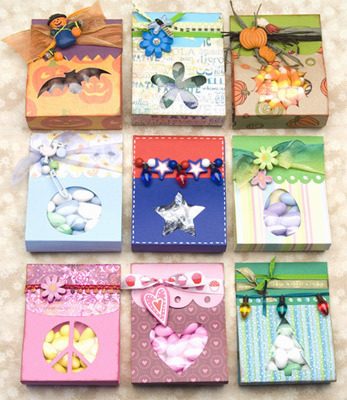 Solid paper shown is all card stock by American Crafts ("AC Cardstock"--about 80 lb). 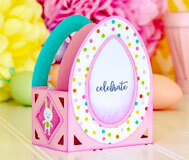 Patterned paper and enamel dot embellishments shown are from the Celebrate Easter Collection by Echo Park. 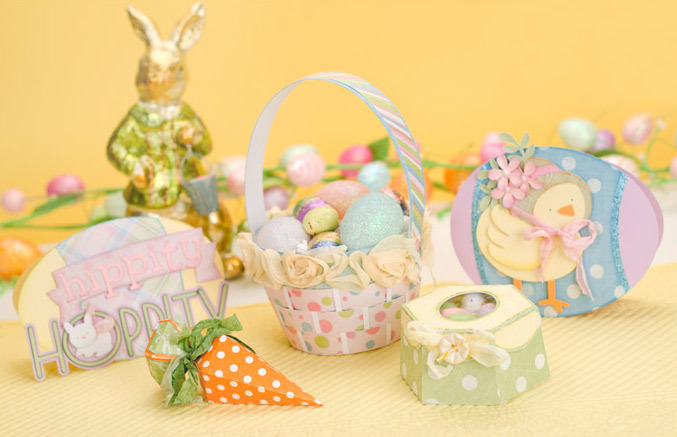 Stamps is from the Happy Easter Stamp Set from Echo Park (EA100044). 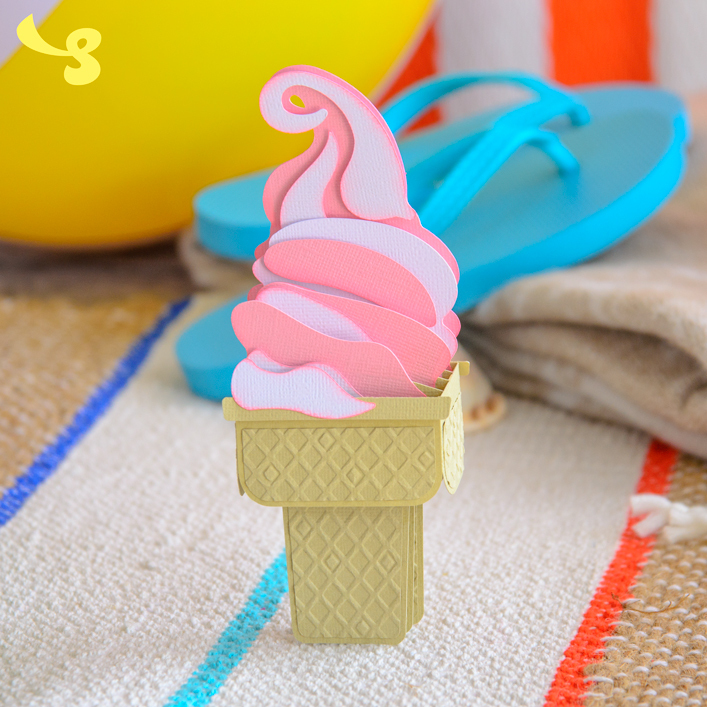 Shiny embellishments are 16 Pink Irridescent Bubbles (adhesive-backed) by Queen & Co.